California’s Central and Southern coasts offer dramatic sightseeing and spectacular scenery all the way from Monterey to San Diego. 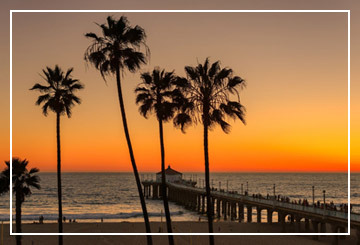 Highlights include the incredible Hearst Castle, the Central Coast Wine Country, Santa Barbara – the “Riviera of the West”, Los Angeles, Hollywood, Beverly Hills, Disneyland and the beautiful city of San Diego. We can arrange a Southern California adventure for your group that will focus on any or all of these great attractions, and give you a chance to experience all the star-studded excitement and fun that the area is known for. And just a few short hours away is the “Entertainment Capitol of the World” – Las Vegas, Nevada! A perfect add-on or prelude to any West Coast adventure!